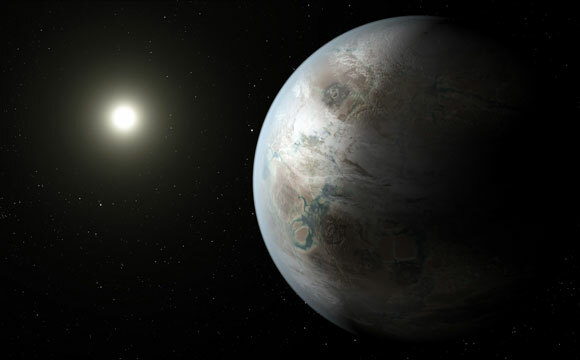 NASA’s Kepler Space Telescope has discovered a planet and star that closely resemble the Earth and our Sun. 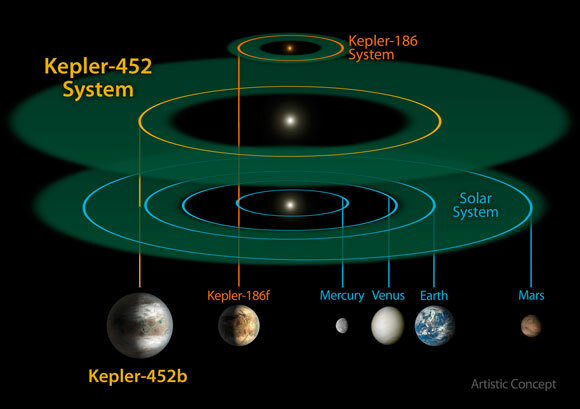 These findings, presented in the seventh Kepler Candidate Catalog, will be submitted for publication in the Astrophysical Journal. These findings are derived from data publically available on the NASA Exoplanet Archive. 2 Comments on "Kepler Discovers Bigger, Older Cousin to Earth"
It seems to me we are angling toward seeing this liquid water the source of allowing nuclear reactions in the core/mantle area. But Earth is the odd ball here in Sol’s system. This unusually thin lithosphere is the key and how Earth got that unusually thin lithosphere is a question we have not answered yet. Okay! 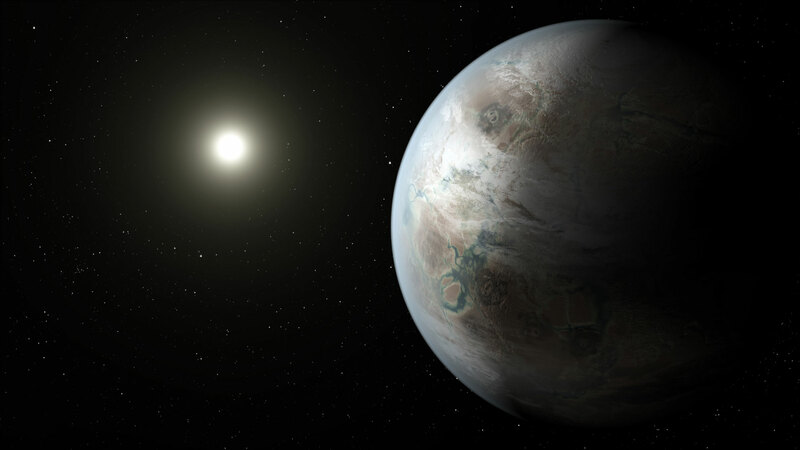 water can be found on the earth’s cousin like exoplanet. But this Kepler 459-B in the constellation of Cygnus is 1400 light years away.If any intelligent beings are there, the time taken for them to travel will be 1400 million years, since one cannot travel at light speed. The concurrence of them with our Earth would be remote fraction of this span of time, since man can exist only for one million years at the most. Let us be happy, that water is the great ingredient of our Universe and can be found everywhere. Water may be precursor of life but life of any living being, and even plants are just a fraction of a second in a day’s time if the planet lives for a day time if mathematically considered. Thank You.